The Army is preparing to launch a pilot program that could fundamentally change the way the service manages its soldiers and matches people to their next assignments. The Assignment Interactive Module pilot is scheduled to begin in December, said Maj. Gen. Wilson Shoffner, director of the Army talent management task force. AIM is designed to collect in one database information on soldiers’ job preferences, background, skills and expertise, everything from foreign language proficiency to civilian-acquired skills, Shoffner said. The pilot is a precursor to the Integrated Pay and Personnel System-Army, or IPPSA, which will for the first time allow the Army to look at soldiers and their talents and abilities across all three Army components. This gives the Army "total visibility and automated ability," as it manages almost 1 million people, Shoffner said. "The big idea is that we can enhance readiness if we can figure out how to maximize everyone’s potential to contribute," Shoffner said. "Some might say it’s about taking care of your best, but it is much more than that. We want to find those talents that may not be readily apparent. We want to find out what people can do, abilities they have that may not be obvious and then are more difficult to manage." 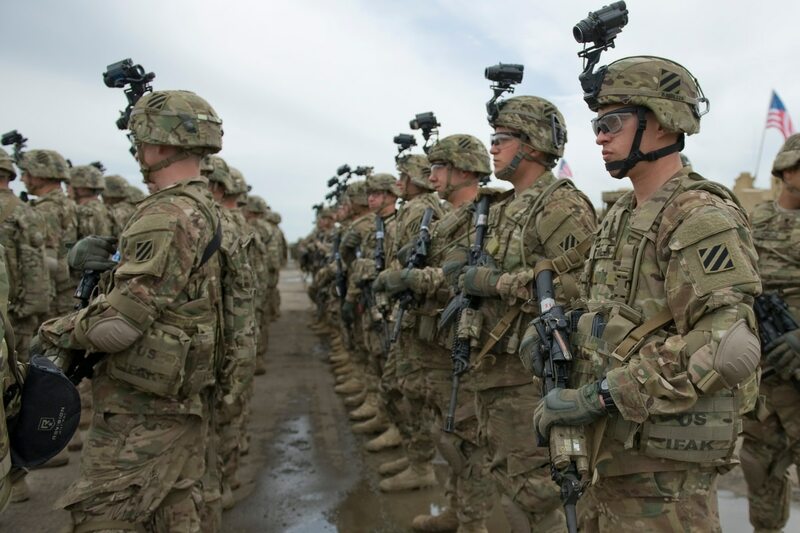 IPPSA will allow the Army to track a soldier’s abilities in multiple areas and better match them with assignments or jobs as they progress in their careers, said Lt. Gen. James McConville, the deputy chief of staff for personnel (G-1). "It will fundamentally change the way we do business," he said. "People in the Army are the most important thing we have, so we’re trying to move from an industrial age personnel management system to a 21st Century talent management system." Today, the Army manages soldiers primarily based on rank and military occupational specialty, McConville said. In the future, "we’re going to be able to manage soldiers by their knowledge, skills, abilities and behavior," he said. "What we want to be able to do in the future is know if you have regional expertise, if you speak certain languages, are you a master in cyber, if you fly an aircraft." For example, when the 101st Airborne Division was called to deploy to Liberia to help stop the spread of the Ebola virus, the Army could have used a system such as IPPSA to determine how many soldiers were from Liberia, how many spoke the language, or how many had experience dealing with health epidemics, he said. When McConville was a deputy commanding general with the 101st Airborne deployed to Afghanistan, he created a spreadsheet for the Army National Guard and Army Reserve soldiers deployed with them to fill out with their civilian-acquired skills and professions, he said. "One of the officers was the head of the Texas Highway Department, another one owned a construction company, another one had an engineering firm, another had a design firm, so we were able to identify these knowledge, skills and abilities and then use them outside their MOS," McConville said. "This is what the talent management system IPPSA will do for the Army." 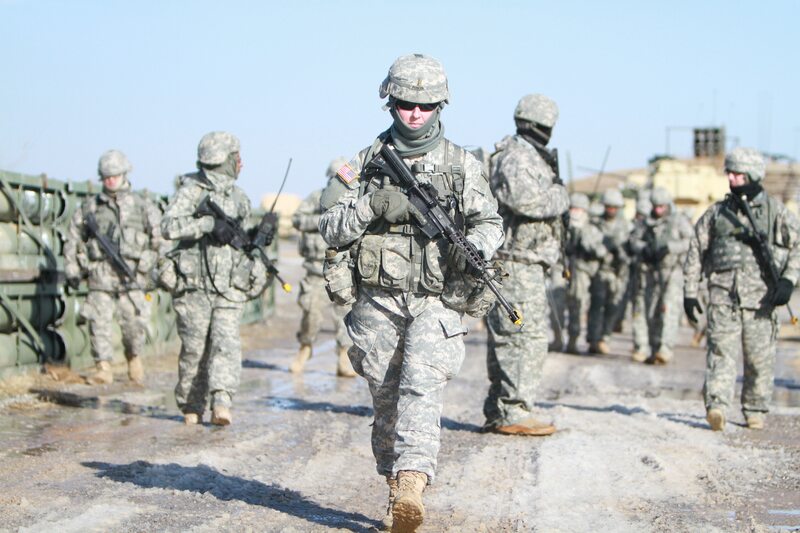 Second Lt. Rachel Parker, Field Artillery Basic Officer Leader Course Class 7-13, leads a formation during the Red Leg War. Officers in that class were among the first women able to officially hold positions within direct support field artillery battalions, brigade combat teams and cannon battalions in fires brigades. The Army is launching a sweeping talent management effort to better match the right soldiers with the right jobs. A system such as IPPSA also will better enable the Army to identify its most talented soldiers, McConville said. "Only 1 percent [of enlisted soldiers] will make sergeant major out of a year group. That’s the same for officers, about 1 percent make general officer," he said. "What we want to do is identify those outstanding noncommissioned officers as they come to the end of their first tour and then start investing in them as they come up." IPPSA won’t be in place until 2018 for the Army Guard and 2019 for the active Army and Army Reserve, McConville said. The system won’t be fully operational until 2020. Until then, the Army is implementing the Assignment Interactive Module pilot, Shoffner said. In December, the Army will test AIM on officers attending the Command and General Staff College. These officers will be asked to provide information about themselves, such as preferences, background, skills and expertise, that otherwise would not be known by assignment officers or their units, Shoffner said. In January, the Army will test AIM again. This time, Army Human Resources Command will begin working with the CGSC students using the data provided by the students. In the spring, the Army will work with units to identify their future requirements using AIM so that the Army can match the CGSC officers with the assignments for which they’re best suited, Shoffner said. The eventual goal is to roll over the information collected through the AIM pilots into IPPSA, he said. "We want to find those leaders that have the ability to lead the Army in the future," Shoffner said. By investing in its people and leveraging their skills and talents, "you will become more efficient and more effective, and that really makes us a more ready Army," Shoffner said. In addition to IPPSA and AIM, the Army’s personnel experts also are looking at lateral-entry options for cyber specialists, McConville said. Just like it does for doctors, the Army will explore whether it can bring in cyber specialists at a higher rank. The Army also is looking at programs that would allow certain soldiers to stay in uniform if they’re performing well, McConville said. The 160th Special Operations Aviation Regiment is a prime example, he said. The unit has a large number of personnel in the ranks of chief warrant officer 3 and 4, he said. "What we want to do is we want to allow them to keep that expertise and talent without hurting the rest of the force," McConville said. "Because if we’re limited to only so many W4s and W5s in the force, it puts us in a quandary where they’re either all in the 160th or in the 160th we’re bleeding talent." A separate initiative also could allow leaders to temporarily opt out of promotion boards, Shoffner said. "Say you’ve got somebody who’s a Rhodes Scholar, and they just need more time as a lieutenant, then they could opt out of a promotion for one year or possibly two years," he said. All of those initiatives require congressional approval. The ability to put the right people in the right jobs is critical for an organization as large as the Army, Shoffner said. "What we’re trying to do is win in an unpredictable, complex world, and to do that, you have got to have the very best talent that you can, so we want to be able to identify those leaders," he said. "Some of our leaders in the Army do a very good job at this right now, and we don’t want to change that, but we want to also give those leaders better tools to be able to help manage the people that they’ve got."